For today's fashion conscious, discerning consumers, the brand offers a wide collection of trendy, fashionable ready to wear footwear line for all occasions. 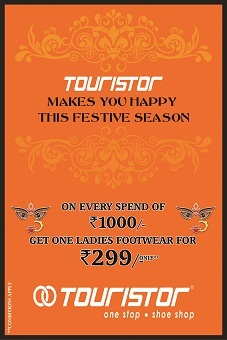 The promoters of Touristor brand have behind them 50 years of experience in footwear industry. 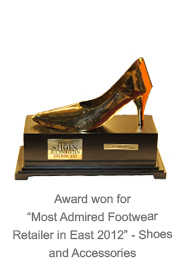 Touristor Shoes has become synonymous for superior quality footwear for men, women and kids. Head quartered in Kolkata, the brand today is one of the fastest emerging fashion footwear brands in eastern & central India. Starting its journey since 2004, the brand today has a strong market presence across the region with a widespread network of 15 exclusive retail stores situated at strategic locations in High Streets and Shopping Malls. Apart from its EBO network, the brand also has a number of multi brand retail outlets catering to numerous customers across the country.